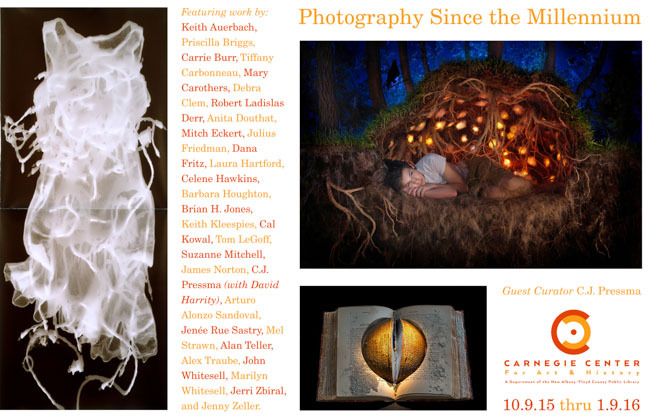 Super excited to have work in the Photography Since the Millennium exhibition at the Carnegie Center for Art & History in New Albany!! Thank you C.J. Pressma for thinking enough of my work to invite my participation! In conjunction with the Louisville Photo Biennial, this exhibit will be on display from October 9th, 2015 through January 9th, 2016. Join me at the opening reception on Friday October 16th from 6 -8pm. 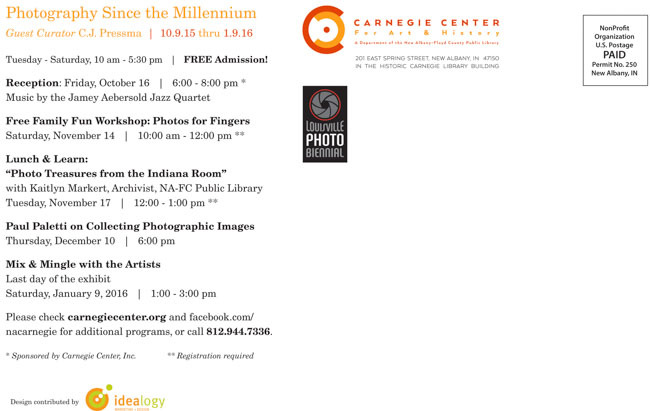 The Carnegie Center for Art & History in New Albany is open from Tuesday through Saturday 10am-5:30pm.